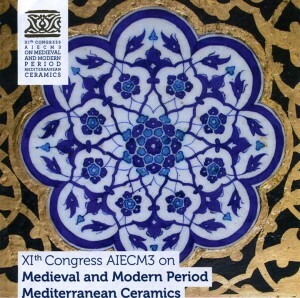 In 1978, the University of Aix-en-Provence and CNRS took the initiative to bring researchers together in Valbonne France, researchers, who at this time were concerned with Medieval pottery of the Western Mediterranean. 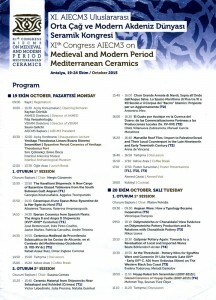 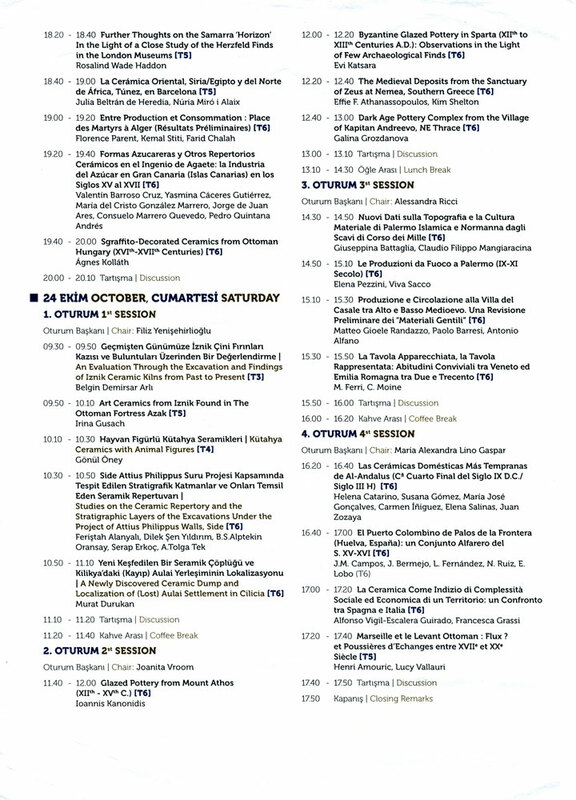 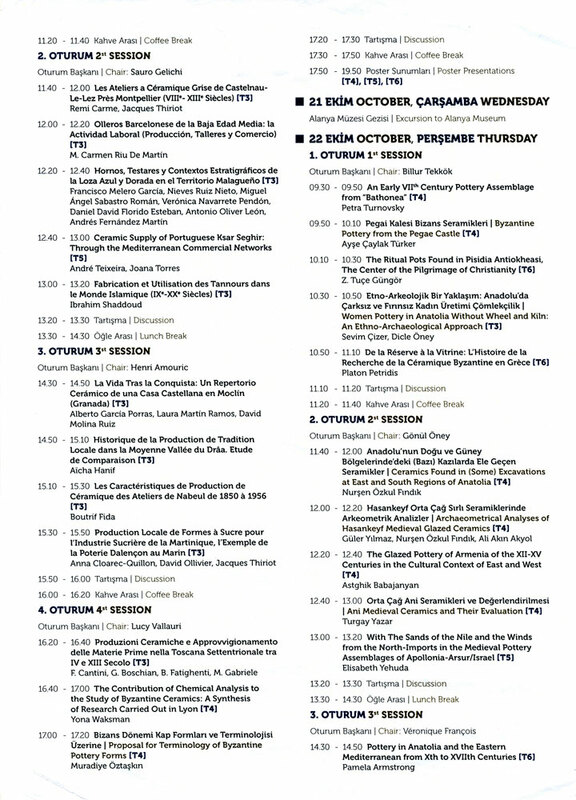 The success of this initiative within scientific circles led, firstly, to guarantee the publication of the Congress’ minutes, which were transformed into a compulsory reference for researchers specialized in this area, and to the creation of the international association for the study of Medieval pottery in the Mediterranean (AIECM2), with the aim of promoting investigation and organizing international congresses. 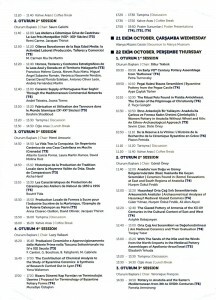 From 1995, the conferences took on new strength with the broadening of the area of activity to include the Eastern Mediterranean, leading to the incorporation of researchers from a larger number of countries. 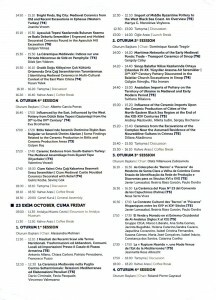 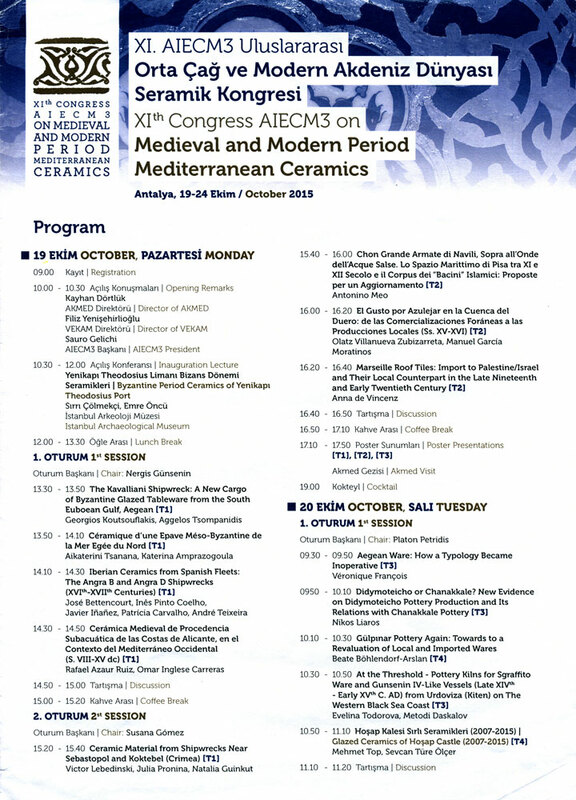 Association Internationale pour l’Etude des Céramiques Médiévales et Modernes en Méditerranée (AIECM3), is an international association dedicated to the study of Medieval pottery of the Mediterranean. 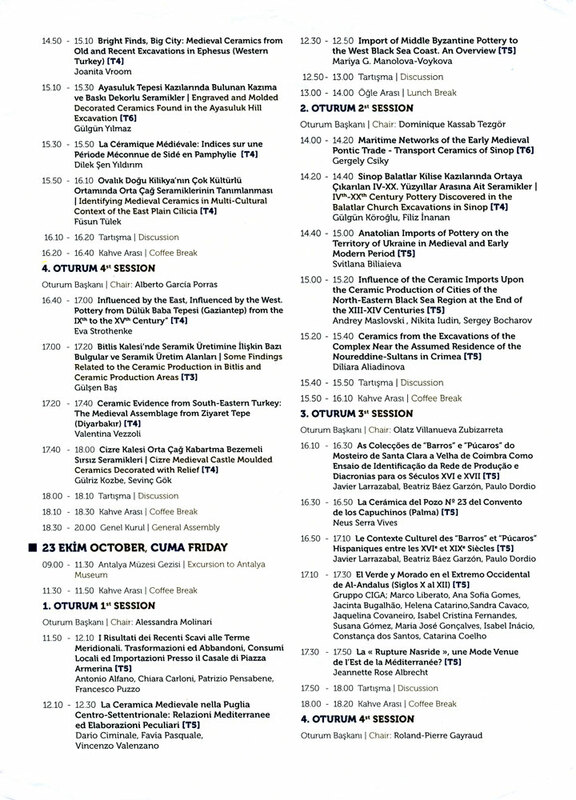 Its main aim is the promotion of dialogue and the sharing of experiences and knowledge amongst researchers working in this area. 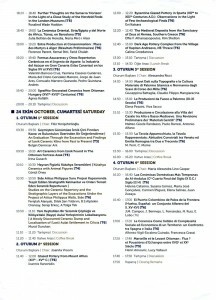 The work of the association has been essential for new achievements and significant reflections about history of pottery. The International Congresses on Medieval Ceramics in the Mediterranean are organized by AIECM3 in partnership with the local institutions of the countries where each one of the congresses are held approximately every 3 years.